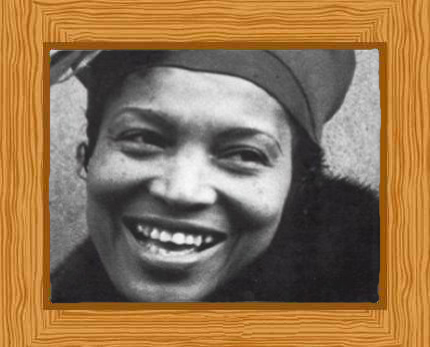 Zora Neal Hurston was an American author, folklorist, and anthropologist. Publishing more than 50 plays, essays, short stories novels, her best known work is her 1937 novel “Their Eyes Were Watching God”. She visited Haiti in 1937 and documented Voodoo practices, rituals, and beliefs. Her firsthand account of the mysteries of Voodoo, “Tell My Horse”, was published in 1938. Zora Neale Hurston was born on Notasulga, Alabama on 7 January 1891. The fifth of eight children, her father, John Hurston, was a Baptist preacher, carpenter, and tenant farmer while her mother, Lucy Ann, was a teacher at the local school. The family moved from Alabama to Eatonville in Florida, one of the first self-governing all-black municipalities in the United States, when Zora was just three years old. Zora stated that she felt like Eatonville was her “home” and she sometimes claimed that it was her birthplace. Zora Hurston’s mother died in 1904 and her father then married Matte Moge. Hurston was sent a way by her parents to attend boarding school for a short time and she later described her childhood experiences in her 1928 essay “How It Feels to Be Colored Me”. Leaving school, Hurston then worked as a maid to the lead singer of a touring Gilbert & Sullivan theatre company. In 1917, Hurston attended Morgan College which was the high school division of the Morgan State University and a Historic All-Black school in Baltimore, Maryland. Graduating in 1918, she then attended Howard University in Washington, D.C and became an early recruit of the Zeta Phi Beta sorority. She helped found the student newspaper, The Hilltop and took courses in Greek, Spanish, English, and public speaking. Hurston earned her associates degree in 1920. A year later, she wrote “John Redding Goes to Sea”, a short story that gained her entry into the Stylus, the Alaine Locke literary club. Hurston left Howard in 1924 and then continued her education with a scholarship at Barnard College, Columbia University in New York City in 1925. There, she received her BA in Anthropology in 1928 studying under Franz Boas; she was 37 years old. Hurston also collaborated with Margaret Mead and Ruth Benedict in various anthropological works. Howard married Herbert Sheen, her former classmate at Howard and a jazz musician, in 1927. He later went on to become a doctor but the marriage failed and they divorced in 1931. Eight years later in 1939, Howard married Albert Price while she was working at the Works Progress Administration. He was 25 years younger than her and the marriage ended after just seven months. During her later years, she not only wrote but also served as a faculty member at the North Carolina College for Negroes. She established a school for dramatic arts in 1934 at Bethune-Cookman College in Florida and in 1956 she was given an award by the college in recognition of her contribution. Hurston travelled extensively especially to the American South and Caribbean where she undertook anthropological work and engaged in the local culture and traditions. Sponsored by wealthy philanthropist Charlott Osgood Mason in the American South, her 1935 collection of African American folklore “Mules and Men” was based her research. In 1936 to 37, she undertook an expedition to Jamaica and Haiti, paid for the by Guggenheim Foundation, and investigated and took part in Voodoo practices, rituals, and beliefs. Her firsthand account of the mysteries of Voodoo, “Tell My Horse”, was published in 1938. Returning to America in 1938, Hurston worked for the Federal Writers’ Project collecting information for Florida’s historical and cultural collection. Hurston moved to Honduras in 1947 with a plan to examine Mayan culture and ruins. However in 1948 she was falsely accused of molesting a child; a 10year old boy. The case was dismissed but her personal life was rocked by this scandalous accusation. She spent her last years as a freelance writer for newspapers and magazines. In 1957, she moved to Fort Pierce, Florida where she took various positions including substitute teaching. Zora Hurston died of hypertension heart disease on 28 January 1960, aged 69, and was buried at the Garden of Heavenly Rest Cemetery in Florida. Her grave was unmarked for some time but literary scholar Charlotte Hunt and novelist Alice Walker found it and decided to mark it for Zora Neale Hurston. She is remembered for her vast literary works and her contributions to the field of anthropology. In Fort Pierce, they honor her name in a festival they call Zora Fest; a 7-day festival usually held at the end of April.